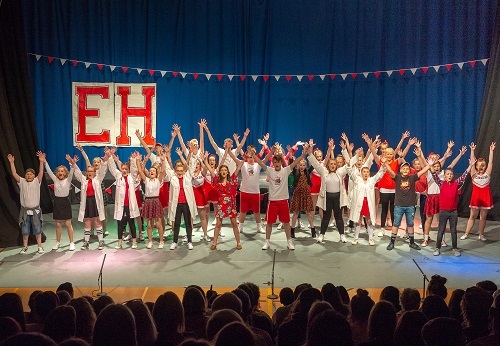 High School Musical on Stage opened at the Bridgnorth Endowed Leisure Centre on Thursday 28th March and certainly didn’t disappoint. The smash-hit Disney movie was quite literally brought to life on stage, with an hour and a half of joyful, toe-tapping entertainment. 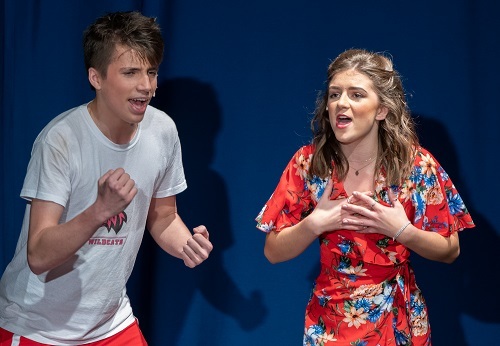 The Bridgnorth Endowed School cast delivered a first-rate performance that featured plenty of catchy songs, lively dance routines, humorous moments and will-they-won’t-they drama. The boy meets girl story is set in a US high school, where pretty new girl and science geek, Gabriella (Francesca Bicknell), falls for basketball hunk, Troy (Josh Loveday). The two bond over a shared love of singing, but it looks as if talent and true love may be thwarted by the need to stick with their peer groups. Of course, the pair do stand up to their cliques and go on to take the lead roles in the school musical. The message of High School Musical is simple – be true to yourself and follow your dreams. It’s impossible to highlight all of the outstanding performances as the standard was exceptionally high. 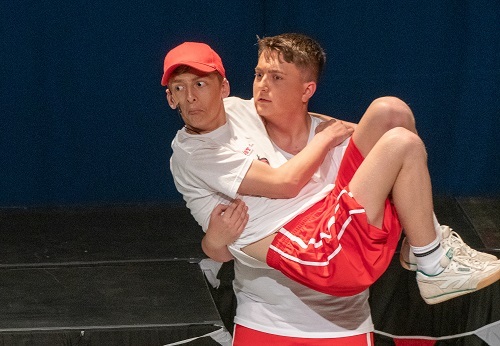 The younger cast members also shone through, impressively supporting the strong lead characters and showcasing their unmistakeable potential for future productions. Distinct group identities were carved out well by the Jocks, Brainiacs, Thespians and Skater Dudes, with the cheerleaders providing a riot of colour and energy in the background, all reinforced by bright and bold costumes that added to the atmosphere of carefree youth. Director, Richard Fox, and his highly talented production team infused plenty of skill and spirit into the show, bringing together a cast that interacted intuitively with chemistry that was abundantly clear.